Hey! I thought it was long time since I posted anything, so I was listening to Disney music...well old habits die hard as you say! :-D I am going to talk a little about Disney today! I am sure we all remember the Disney movies, the happy days of our childhood. You do know that the march from the sleeping beauty was the first piece of music Tchaikovsky wanted to write? He was 8 years old. Do you remember the audio tapes with the Disney stories on them? With the little book, where you had to turn the pages when a certain sound came? (of what I can remember) to the present. I am glad that my mom introduced me to the magical world of Disney! Now I think about it, then it is about 5 years ago since I was at Disneyland in Paris, and this year the park has its 20 magical year anniversary -- I was there when they had 15th year anniversary :-D that was a good day! 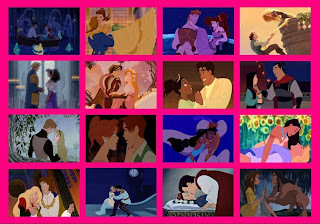 My favorite Disney movie is.... oh there is so many good ones! But my first favorite was Cinderella while I grew up! Now I think my favorite is "The Princess and the frog" because of the jazz music, the story is sweet but the music is amazing! 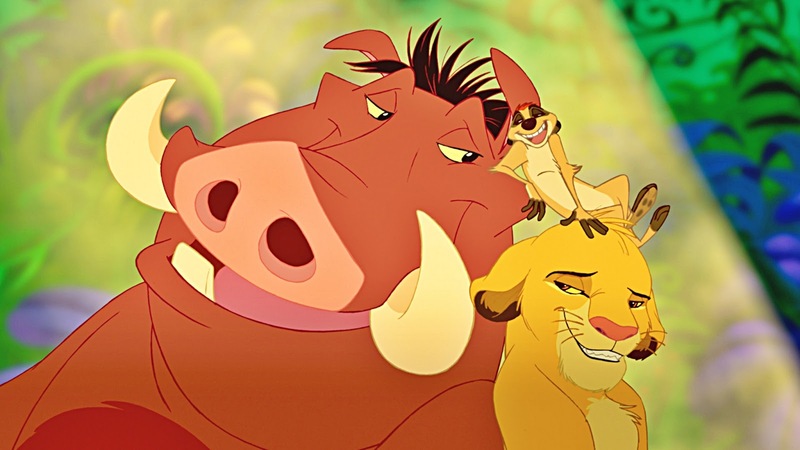 Do﻿ you remember wanting to run through the plains of Africa with Simba? Do you remember seeing these three together? Do you remember this very happy trio together? And did you also sing along when they sang? I thought so :-D but you are not the only one who did that, or still do it for that matter! 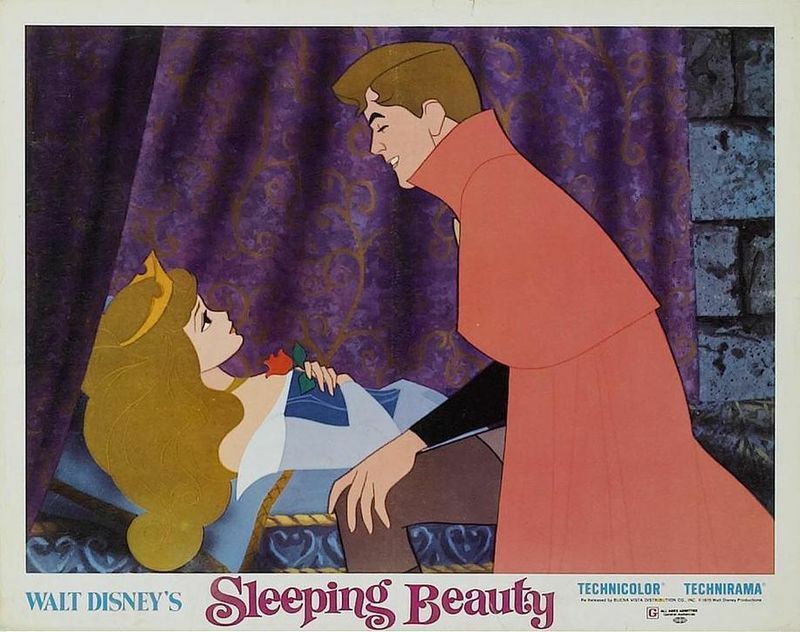 This movie came out a year after I was born, in 1994, so it was the first Disney, my mom introduced to me! Amazing right? 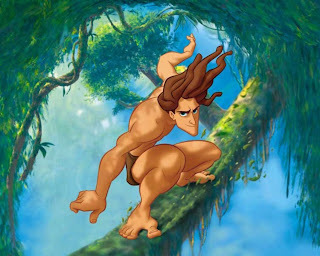 Swing through the jungle with Tarzan? Do you remember the sweet moment when Kela went and collected Tarzan from the house in the start? Did you get the creeps too when she is looking around the house because you know the cat is there? Can you still remember the songs? The English voice who sings "You'll be in my heart" is Phil Collins, and the Danish voice is Stig Rossen, who also sang together with Simone on "Gæt en sang" in the early 2000s. 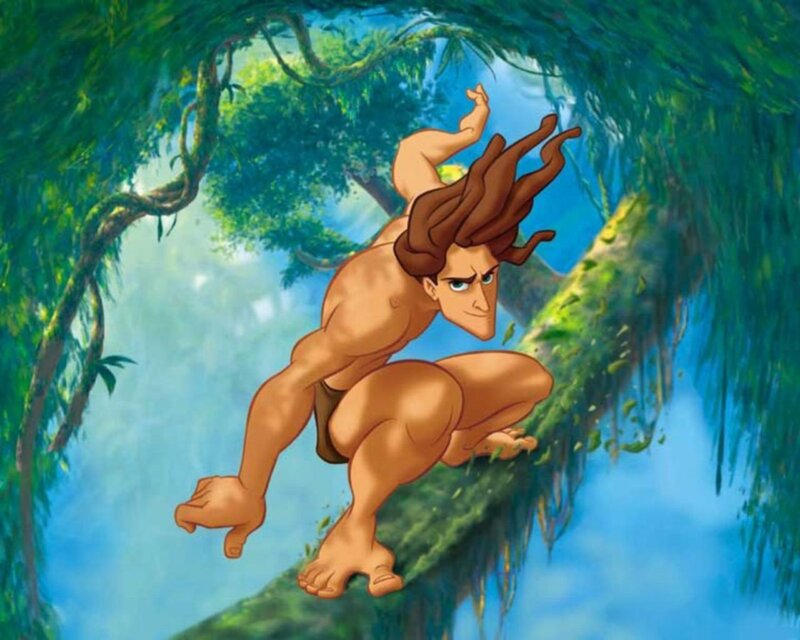 You do know when Tarzan had to be made swinging and skating in the jungle, the artist used his son as inspiration, when he was on his snowboard and such? Go to the enchanted castle with Belle? This is where the Enchanted Castle is located in Beauty and the Beast. My personal guess is it is supposed to be in France. 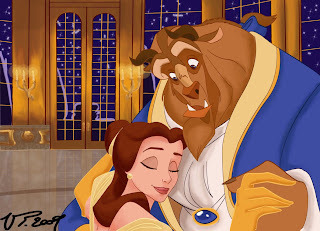 The magical waltz between Belle and Beast (Adam) where we see that they are fond of each other! 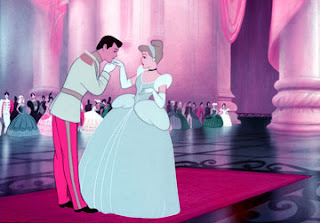 I personally think it is one of the best dancing scenes in Disney, well; Cinderella Waltz scene beats it but only just! I love the scene because the music is beautiful and perfect; I love the voice of Mrs. Potts. And that picture is just sweet, right? Adam and Belle is a very sweet couple! Do you remember this movie? Go to the ball with Cinderella? 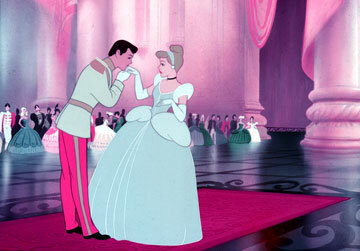 Remember the first meeting between Cinderella and Prince Charming? That is a true gentleman, right? Bowing to the girl and kissing her hand! 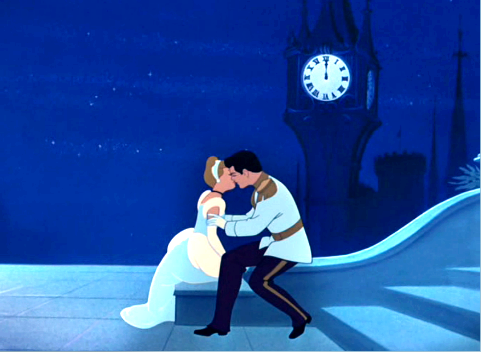 The Midnight kiss! Truly romantic, right? I think every girl wants this, at some point in their lives…well, the kiss always! 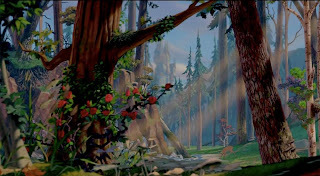 My favorite Disney movie and I think I have sighed over this scene more times than I will admit to! Well, what do you think? It is a good movie, right? Please tell which Disney is your favorite? Ride a magic carpet with Aladdin? 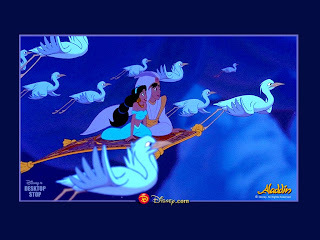 Remember this magical carpet ride? Remember this magical carpet? Remember how Aladdin forgets himself and uses his own line with Jasmine when he plays Prince? I always laugh at that point! 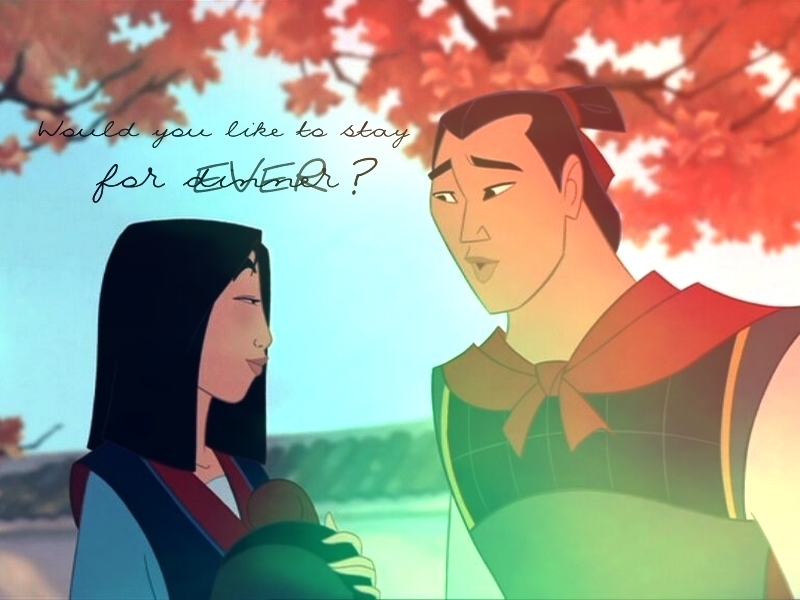 And Mulan and Chang, do I need say more? We all know that Mulan saves China, and gets the guy as well, even if she doubted herself in the start of the movie! I can kind of identify myself with her, at the beginning! Poor girl! Well, she ends up being recognized for her skills and kindness in the end! 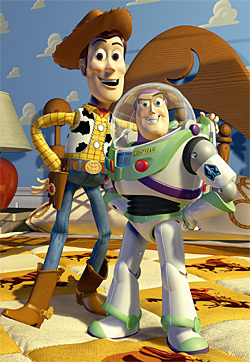 Shrink to toy size to play with Buzz and Woody? And then these two who really don’t get along at first, but ends up the best of friends in the end! Remember the music? Remember the story? Turn into mer-people and go under the sea with Ariel? 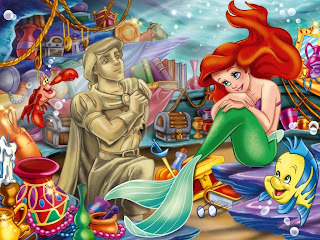 There is actually a statue in Copenhagen of the Little Mermaid, because the fairy tale was written by H. C. Andersen, the famous Danish fairy tale writer/teller. 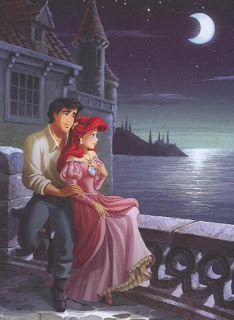 I love this fairy tale because in this version, Ariel actually gets the prince, after all her trying without a voice! I think the original fairy tale is so sad! Remember the songs, “Under the Sea” and “Part of your world” try and listen to “Part of your world” in Danish, it is really good! And Of course they rest of our favorite Disney characters and Princesses gets their happy endings...they always do in Disney!Which is one of the many reasons I love Disney movies, they always makes me happy! 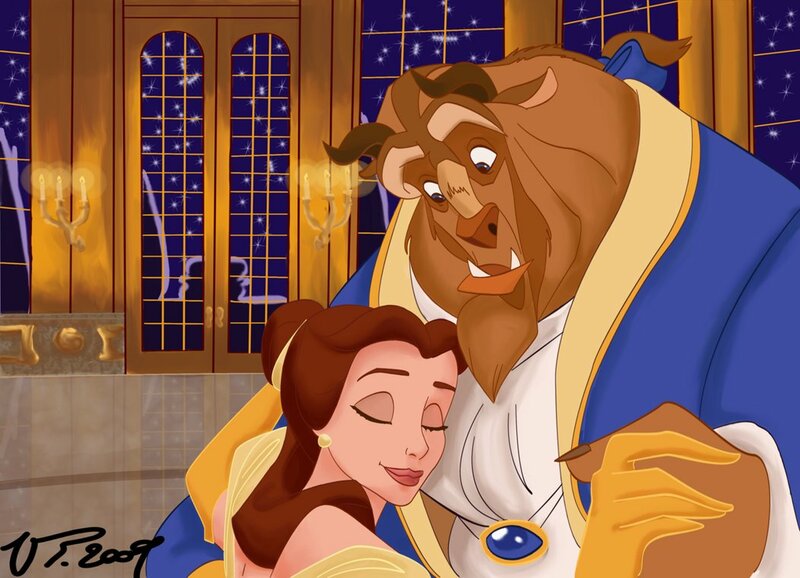 Which Disney movie is your favorite? Please tell!